Due to the size and weight of the external flash unit, the hot shoe on the DSLR body will get loose after long use. With the flash mounted on the camera, gentle shake the camera or put forward pressure on the flash body, u will notice that the flash rock back and forth in the shoe and there is wiggling space between the flash shoe and camera. What we need to do is to tighten back the flash hot shoe screws. The tool we need is a jeweller’s screwdriver. First, we need to remove the hots shoe plate by lifting up the plate and slide it back. 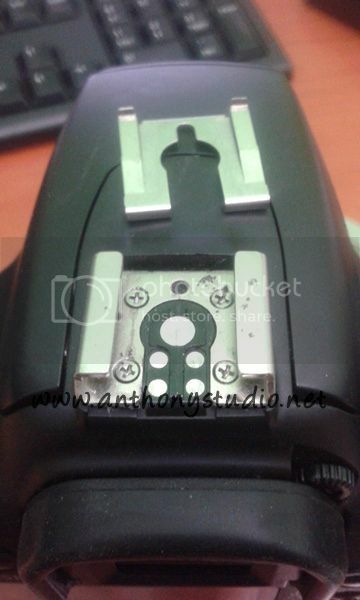 You will notice the hot shoe plate has a curved lip and prongs that ‘catch’ parts of the hot shoe. If the plate doesn’t slide out easily, don’t force it. Look carefully at the catches, push them down gently and the plate should slide out ( the plate is what makes it so easy for the flash’s pins to slide into the hot shoe quickly. Without the plate, mounting the flash is a real pain.). Then, we will see the screws. 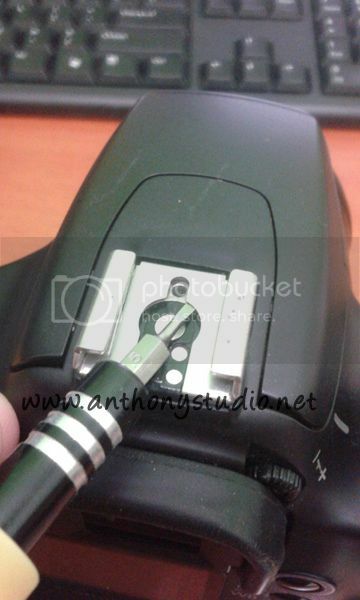 Tighten all the screws, make sure the hot shoe is really firm, then put back the plate. Finally, put a external flash unit on the hot shoe, test that the flash is working properly.